QuantumRoll is the Roll20 dice engine which was enabled by default in the Data Delve update. 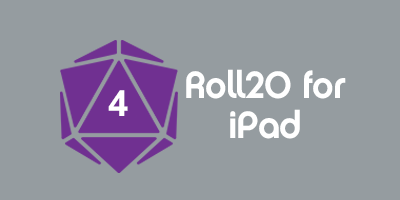 Rather than relying on client-side pseudo-random number generation to perform dice rolls, Roll20 now utilizes a "true random" source of entropy, based on the fluctuations in the power of a beam of light. All rolling is done via our server. This ensures that dice rolls on Roll20 are as random as possible. When you see this symbol, you know that the roll was generated by our QuantumRoll server -- in fact, your client has verified via cryptographic signature that the roll is valid and was "signed" by our server's private key; this means it is 100% free from any tampering by a player or a GM. If you client is unable to verify the validity of a roll, you will see an error message instead. 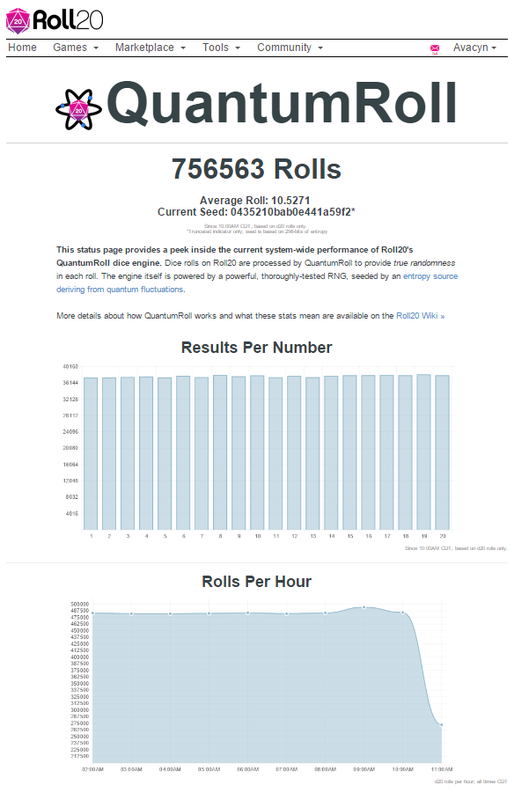 In addition to the behind-the-scenes upgrades, QuantumRoll introduces a new site-wide "status dashboard" showing all the rolls being made in Roll20 games for the last hour, including important statistics about them such as the median roll (an important measure of randomness), and how many times each result has been rolled. This is a great way to make sure that the dice rolls in Roll20 are performing as intended. It also helps re-assure players that even if they're having a rough roll night, the system is not broken. You view the status dashboard at https://app.roll20.net/home/quantum. This page was last modified on 17 September 2015, at 20:30. This page has been accessed 76,226 times.